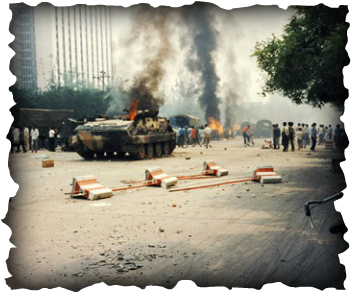 In the spring of 1989, Tiananmen Square in the center of Beijing, became the site of largest movement toward democracy in China in the 20th century. 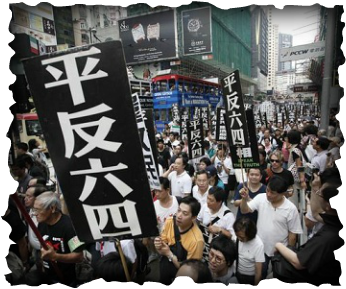 Before the protests the nation had lived under Maoism and the turmoil of the Cultural Revolution. Deng Xiao Ping’s 1979 “opening” of China to major economic reforms gave the nation a little of the freedom. The Chinese Press could report more and students could debate politics on the “Democracy Wall” – a long brick wall in Beijing where people posted political writings from 1978-1979. But the improving of the economy increased also the inflation. Decollectivization shifted farming practices to individual families, brought greater productivity – but it also made a bigger gap between the rich and the poor. The government had to give peasants IOUs instead of cash for grain. By the late 1980s, the society was frustrated with the corruption of the party leadership. To many in the public, it just seemed as if the powerful were only getting more powerful. 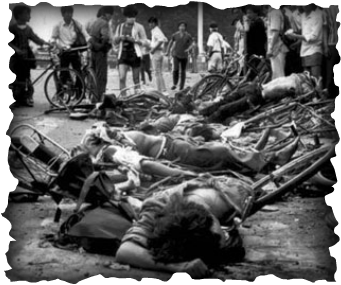 It began in April 1989 with the death of Hu Yaobang, a party leader who’s seizure was a prelude to China's. 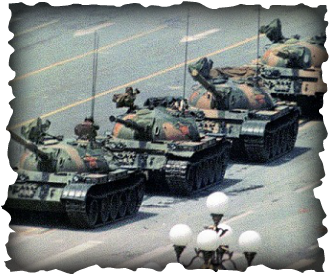 His death started the massive protests in April and May 1989 when crowds of more than a million mainly students filled the streets of Beijing, criticizing the growing corruption, and in general demanding more of the democracy that Hu had come to symbolize. And then, after seven exhilarating weeks, it all came to a sudden end. 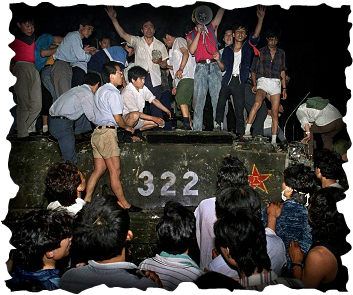 In the early hours of June 4, as the world watched in horror, the tanks of the People's Liberation Army rolled toward Tiananmen Square and troops fired on the crowds, killing hundreds and wounding thousands. In many ways, the students were protecting the values important for them like a free press, free speech, the chance to get wealthy while the workers or farmers still remained disenfranchised and without a support system.